If using soaked macadamia nuts, strain macadamia nuts and rinse with cool water. Place the nuts or nut butter, dates, vanilla* and salt into the TM bowl and grind down, 10-20 seconds, speed 9. With blades running and MC in place, gradually pour water onto the lid. This helps to emulsify the nut milk and helps to prevent separation when in fridge. This usually takes me all up, around a minute, then I continue to blitz for another minute. Place a nut milk bag over a bowl and pour the macadamia nut milk into the nut milk bag – you may use a cheesecloth, a clean chux cloth or clean tea towel if you don’t have nut milk bag. Carefully squeeze out all of the milk – you will have macadamia meal left over, if you like you may dry it out in the oven or dehydrator and now add macadamia meal into muffins, pancakes etc. 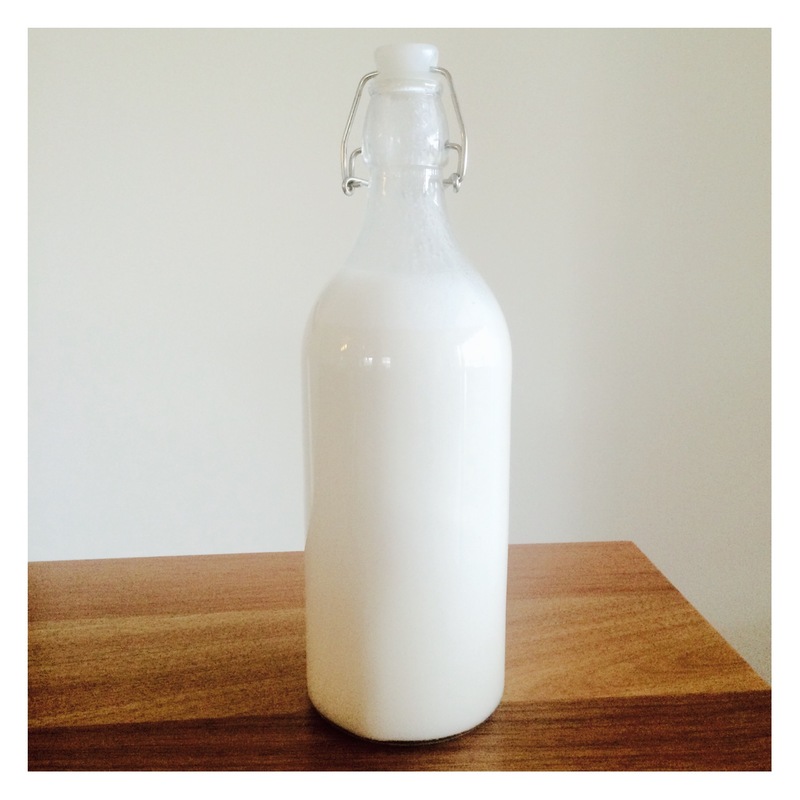 Milk is now ready to be consumed or pour into a glass bottle and keep in the fridge (up to 3 days). You can actually substitute any nuts or seeds you like. You can even mix them up for example: almond and hazelnut milk, mmm! If using soaked macadamia nuts, strain macadamia nuts, rinse well with cool water. Place all ingredients into a blender, including the water and blitz for about 5 minutes until the milk is thick, creamy and smooth.